Paul A. Pavlou, a noted researcher and expert on data analytics and strategy, has been named the next Dean and Cullen Distinguished Chair of the C. T. Bauer College of Business at the University of Houston, UH Provost and Senior Vice President for Academic Affairs Paula Myrick Short announced recently. In his administrative role at the Fox School, Pavlou has been responsible for overseeing all research activities and centers, including the development and mentoring of research faculty and Ph.D. students. During his tenure, five of the school's disciplines were among the Top 10 in the nation in terms of research productivity. Pavlou initiated and implemented a strategic plan to enhance the school's research visibility and showcase the broader impact of research on academia, industry, practice, the classroom, and public policy and society. "I look forward to working with all stakeholders to enhance the visibility of the Bauer College, locally, nationally, and globally," Pavlou said. "Becoming a top public urban College of Business will align with the vision of the University of Houston to become oneof the nation's top public urban universities." "In the competitive landscape of business education, the Bauer College of Business must continuously innovate to meet the changing needs of employers and students," he said. "My plan is to further enhance Bauer's existing academic programs, develop new cutting-edge programs and strategic initiatives, and focus on preparing students for successful careers." 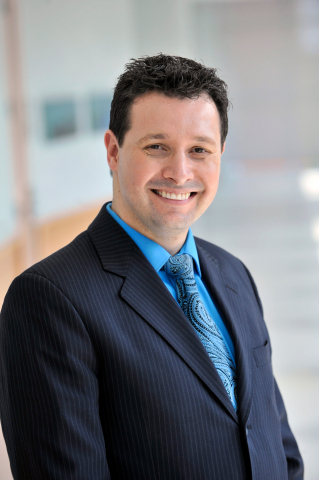 As co-director of Temple's Data Science Institute, Pavlou facilitates interdisciplinary collaborations among faculty and Ph.D. students across multiple departments and colleges across campus and facilitated the development of several data analytics programs and initiatives, including programs to connect with industry, the business community and K-12 schools. In his application for the Dean position, Pavlou wrote: "My approach would be to create an environment where all stakeholders can contribute to a common strategic vision, develop new student-centric programs, prepare students to become leaders, engage alumni, benefactors and the vibrant Houston business community to enhance the local, national and global reputation of the C. T. Bauer College of Business." Pavlou himself is a respected researcher, with work spanning several disciplines focusing on data science, business analytics, and digital business strategy. His research has been cited about 35,000 times by Google Scholar, and he was recognized among the "World's Most Influential Scientific Minds" by Thomson (News - Alert) Reuters based on an analysis of "Highly Cited" authors in Economics & Business for 2002-2012. Pavlou was named No. 1 in the world for publications in the top two information sciences journals (MIS Quarterly and Information Systems Research) in 2010-2016. He earned a Ph.D. in Business Administration and a Masters in Electrical Engineering from the University of Southern California and a Bachelors in Electrical Engineering from Rice University. The University of Houston, Texas' premier metropolitan research and teaching institution is home to more than 40 research centers and institutes and sponsors more than 300 partnerships with corporate, civic and governmental entities. UH, the most diverse research university in the country, stands at the forefront of education, research and service with more than 35,000 students. The C. T. Bauer College of Business has been in operation for more than 60 years at the University of Houston main campus. Through its five academic departments, the college offers a full-range of undergraduate, masters and doctoral degrees in business as well as executive education and community engagement initiatives. The Bauer College is fully accredited by the AACSB International - the Association to Advance Collegiate Schools of Business. In August 2000, Houston business leader and philanthropist Charles T. (Ted) Bauer endowed the College of Business with a $40 million gift. In recognition of his generosity, the college was renamed the C. T. Bauer College of Business.